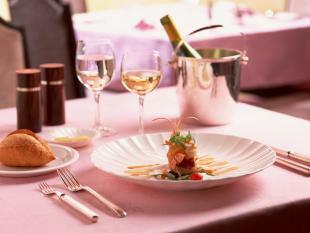 When you think back to your last experience visiting a restaurant, what do you remember? Is it the food? The decor? The silverware? I bet that the first thing you remember is your server, and how he or she managed your experience in the restaurant. Did your server have a great attitude and provide excellent service? Or do you look back and wonder if they were even qualified? If you’re a manager wondering how to train your restaurant servers to provide a superior customer experience, you already know that the food service industry is highly competitive. If customers don’t like your product or your customer service, they will go elsewhere. In the fast-paced, sometimes hectic workplace of the food service industry, training ensures that your employees are empowered to perform their jobs effectively and that your customers keep coming back for more great food and customer service. In this blog post, we’ll walk you through the necessary steps to create an effective food server skills training program. Step 1: Define Your Standards. People Skills: Servers are always interacting with others, whether it’s talking with customers when taking orders, making cheerful small talk, communicating with other restaurant staff, or resolving conflicts that may arise with customers. Servers must be comfortable talking to and interacting with a diverse range of people. Organizational Skills: Whether managing drink and food orders, multiple tables of customers, or handling and processing payments, organizational skills play a large part of a server’s ability to stay on top of their work. Servers must have the ability to balance and prioritize many important job tasks at once. Food-Specific Knowledge and Skills: A server should have thorough menu knowledge to answer customer questions and concerns, make recommendations to customers, describe wine or beer pairings, or up-sell a customer on a certain dish or special. Technical Skills: Lastly, technical skills such as knowing how to use a Point of Sale payment system, swiping credit card payments, or operating a company computer are integral for a restaurant server to be able to process and access the information they need to do their job. Once you’ve defined your standards, you’re ready to start creating your restaurant server training guidelines. Where did you identify the greatest needs and deficiencies? What kind of training would best help your staff develop the essential restaurant server qualifications? You can use a combination of restaurant skills online training courses, in person workshops and one-on-one coaching to help your staff members identify their areas for improvement, learn service strategies and become more efficient servers. As you implement your server skills training program, you’ll have consistent opportunities to evaluate what’s working and what isn’t along the way. Talk with your team and seek their feedback on the training program – perhaps servers who are leaders in certain skillsets can mentor their peers in other areas. In conclusion, the positive results of a well trained service staff can be seen not only in the increased productivity and effectiveness of your employees but also in the minds of your customers as they leave with a positive view of your establishment. By investing time and effort in service staff training you ensure the success of your restaurant in the day to day operations as well as the long run.